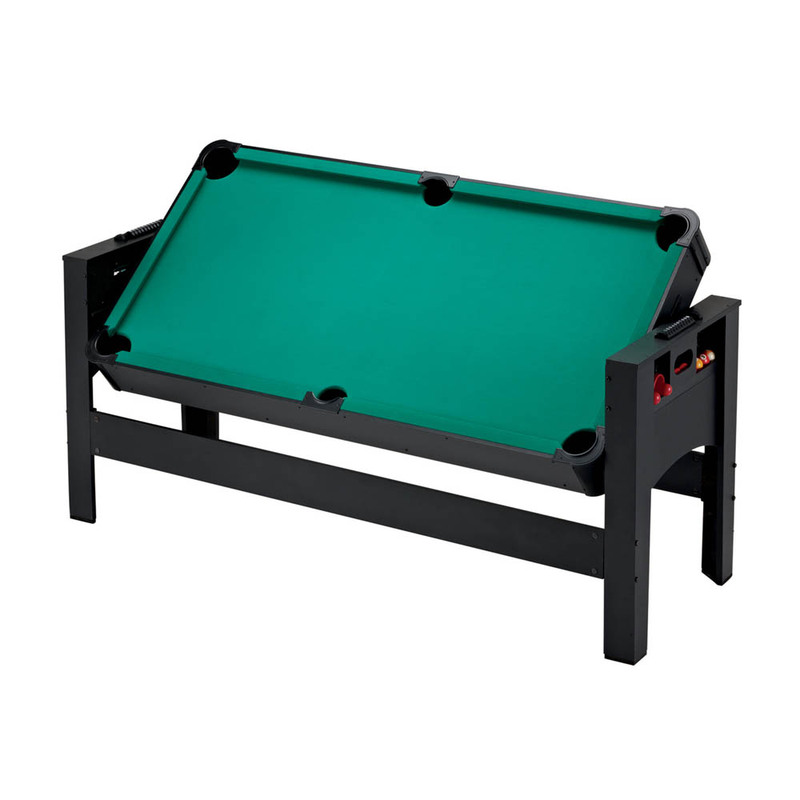 All of the most popular games are now at your disposal, in a third of the space with the Fat Cat 3-in-1 Flip Game Table! 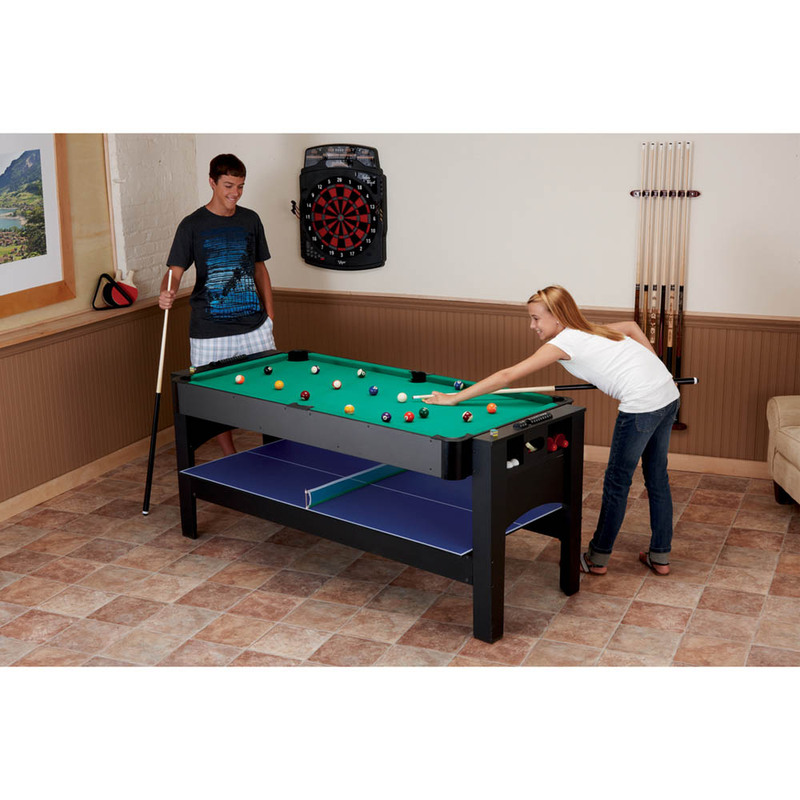 This revolutionary multi-game table design offers an unprecedented three of the most popular game room games that would normally take up the space of three separate tables in a single unit! 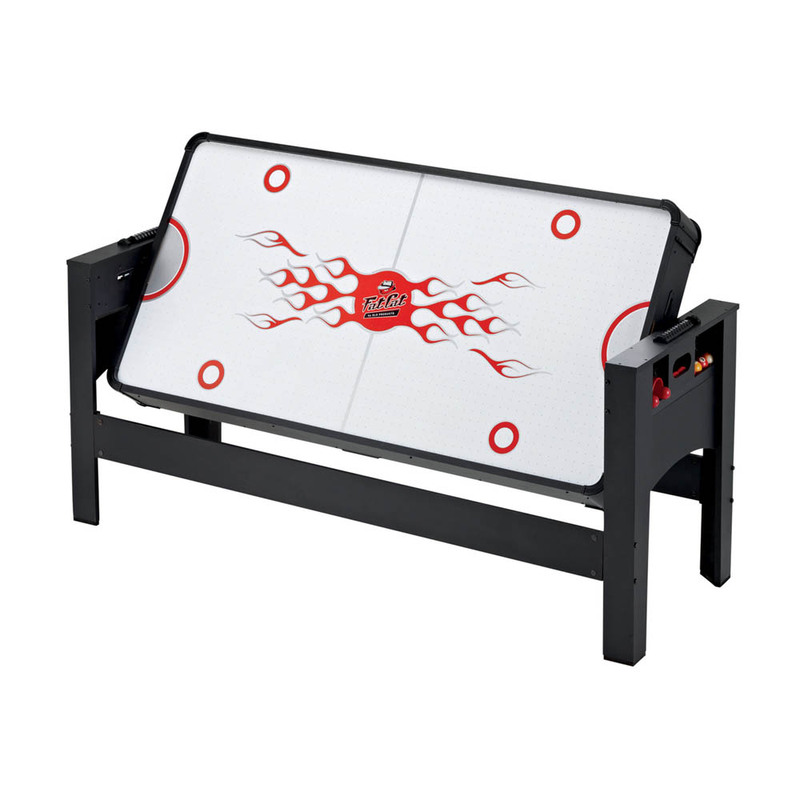 Your family will be in for hours of fun flipping between the different games the Flip Table has to offer! 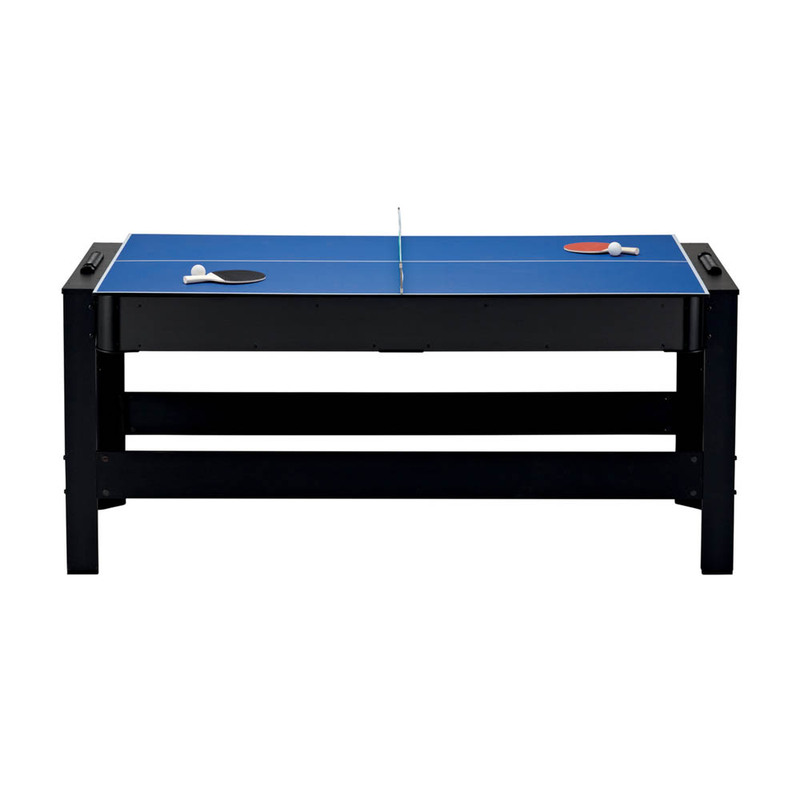 Each table surface is optimized for its game, ensuring a great experience no what game you play. The first game to mention is pool, the Flip Table features a smooth durable playing surface that plays just like a pro table. With a sleek built-in pocket design, the table is totally contained. The space-saving playing field is surrounded by real rubber bumpers for an authentic bounce and covered in heavy duty cloth. 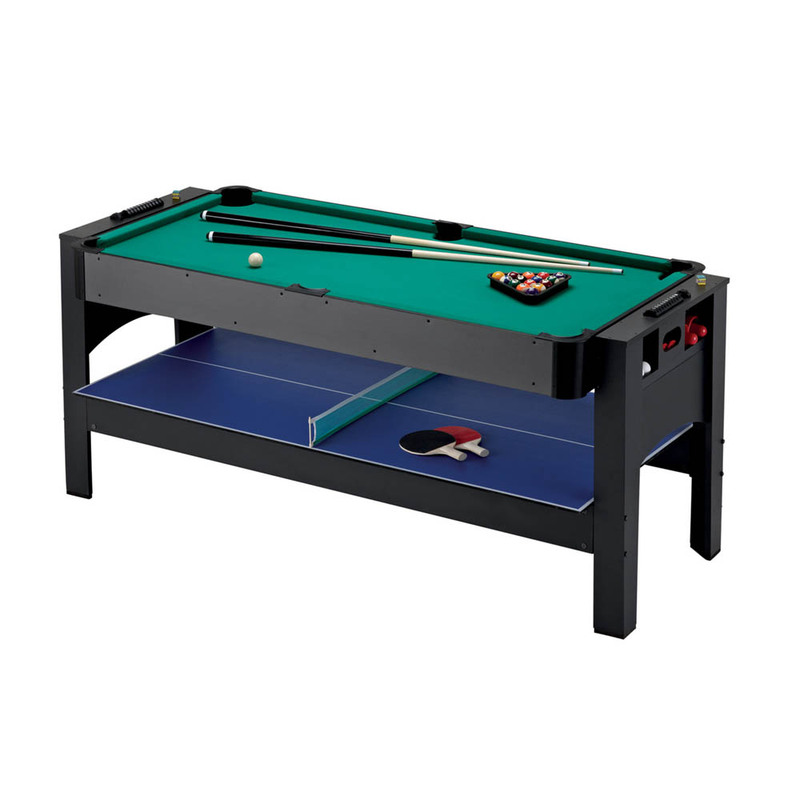 On the flip side of the billiard table is the air powered hockey table. 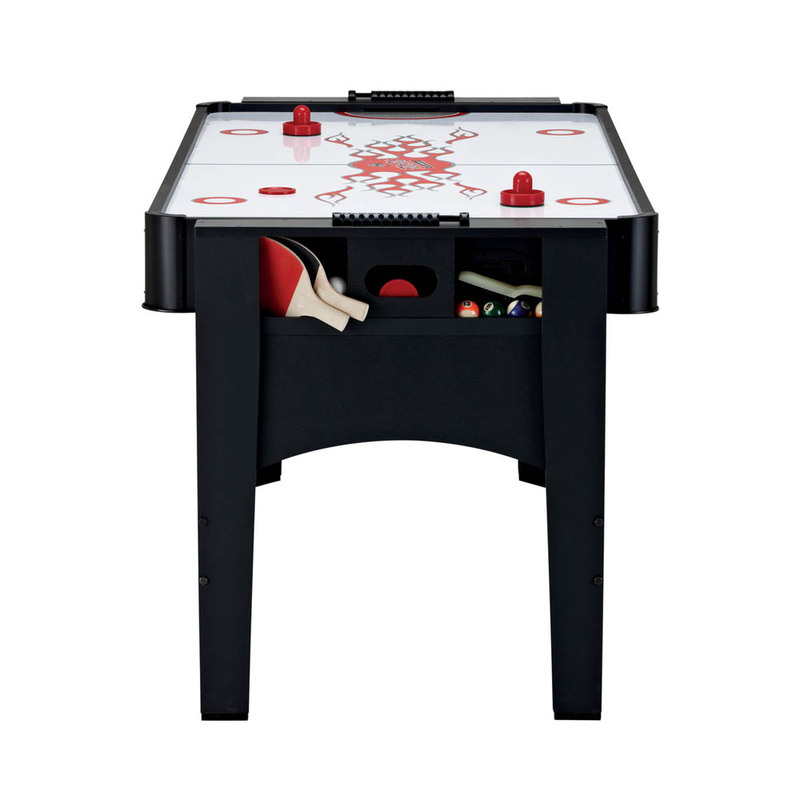 Where other tables feature motorless ‘slide hockey,’ the Pockey Table features a full-powered 220 volt electric motor. The extra glossy playing surface features hockey rink graphics for an excellent atmosphere during games. Easily keep track of the score with a manual scorer. 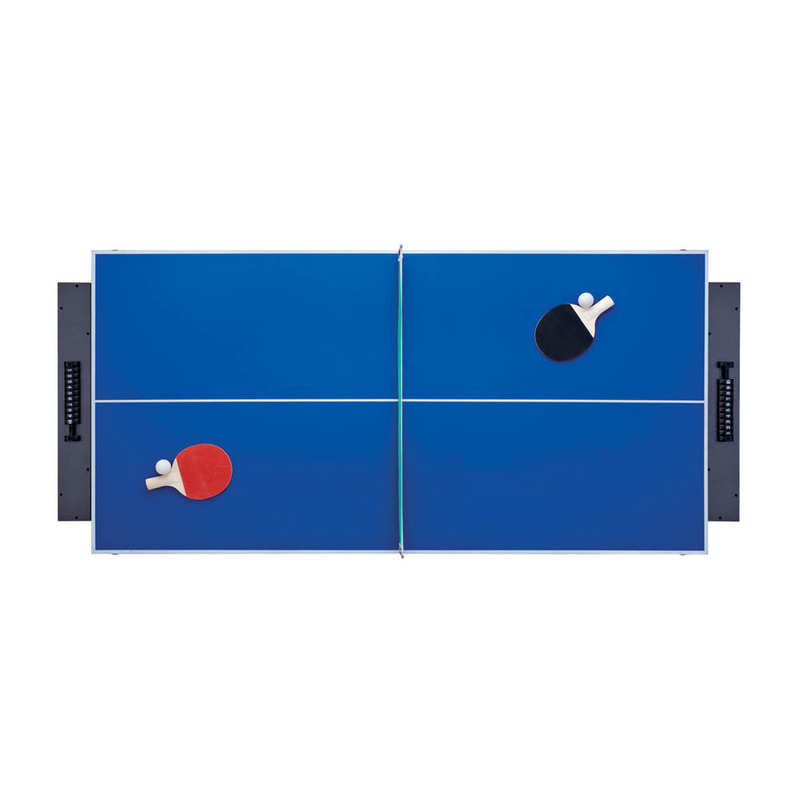 The last game featured is a convenient table tennis top that can be used on either side. 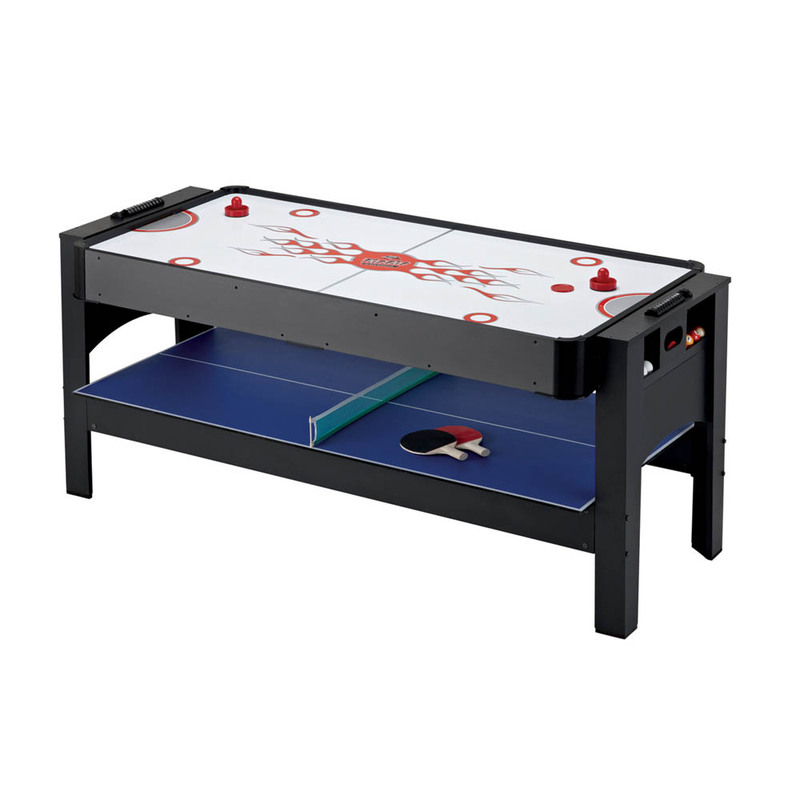 Changing between game modes is a snap with the exclusive latch system that locks the table into place for a stable game. 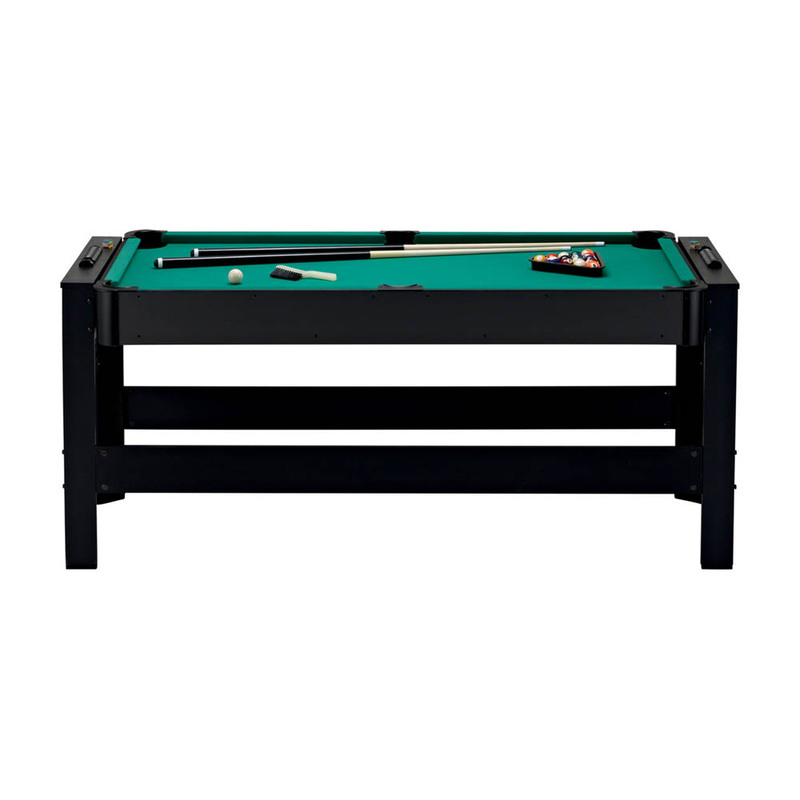 The reversible table top is housed in a versatile frame complete with storage for the plethora of accessories included in this all-in-one package. 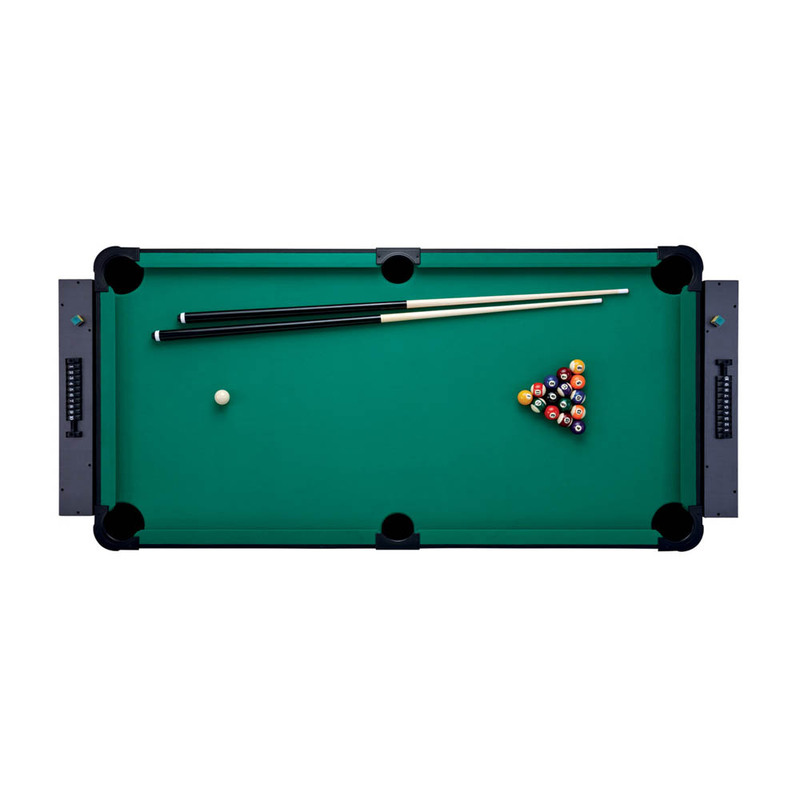 Speaking of accessories, the Pockey Table includes: four pushers and pucks, a set of 2.25” billiard balls, a resin triangle, two 57” cue sticks, two pieces of chalk, a billiard brush, two table tennis paddles and balls, and a net with post set. 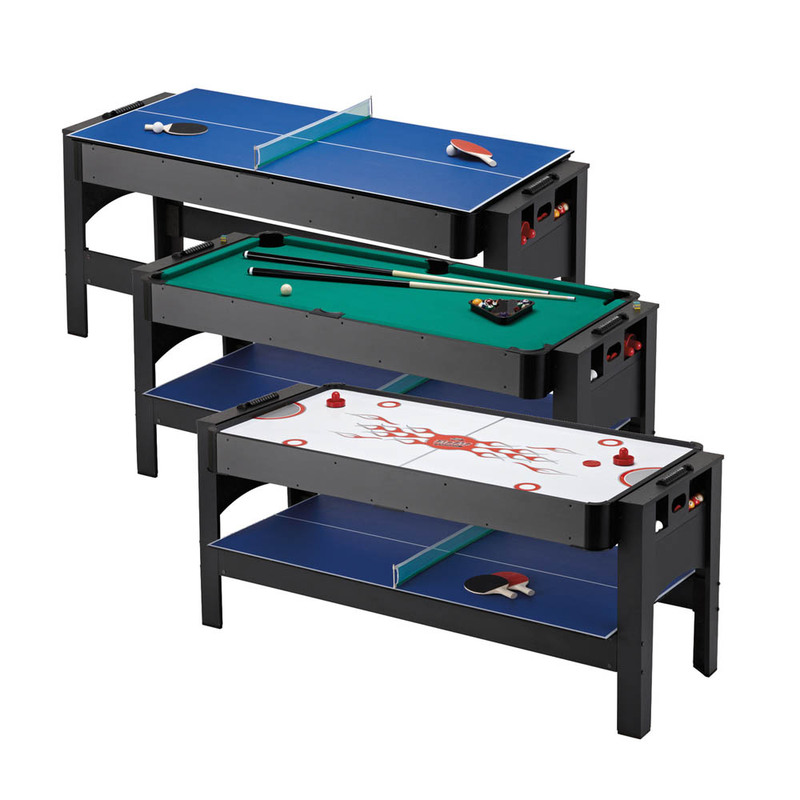 Get three games for the price of one in this convenient space-saving table. 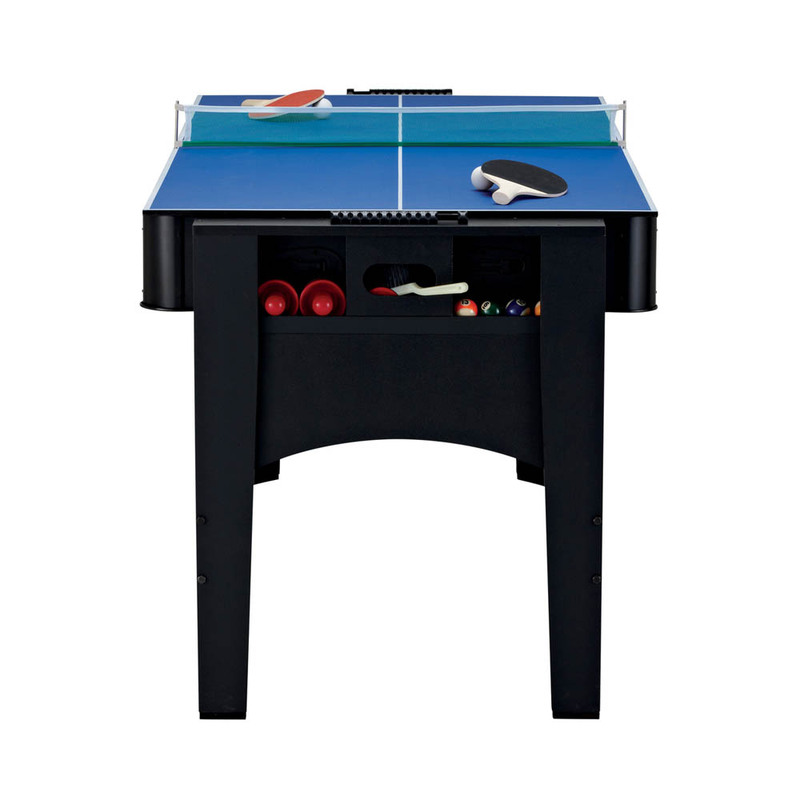 Featured game modes are Billiards, Air Hockey, and Table Tennis, all full games without sacrificing quality. 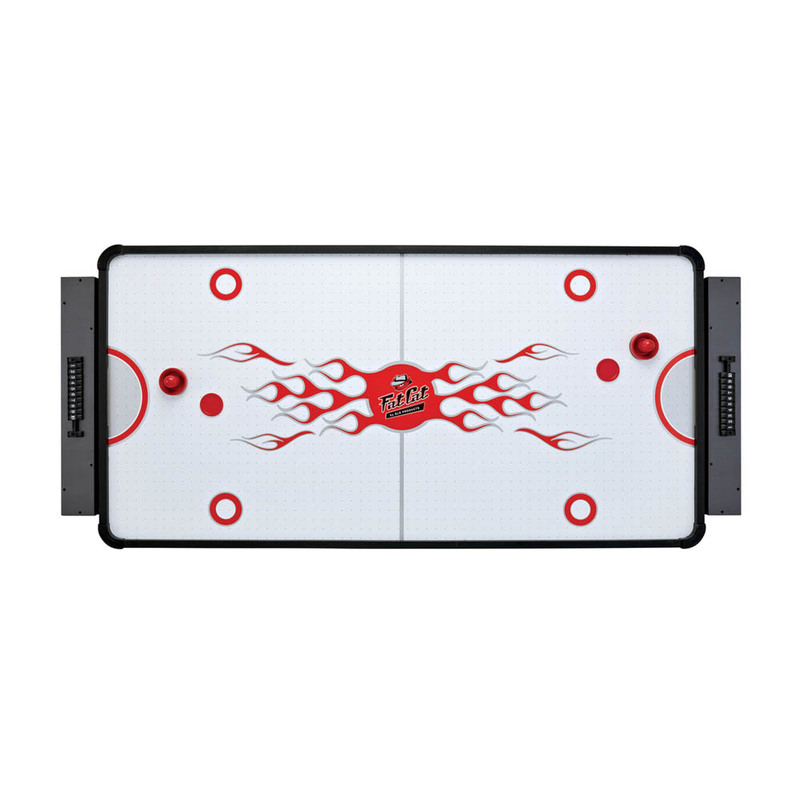 Tri-fold tabletop technology makes changing games a snap, just unlock the latches and flip it over! Can also be locked upright for simple storage. 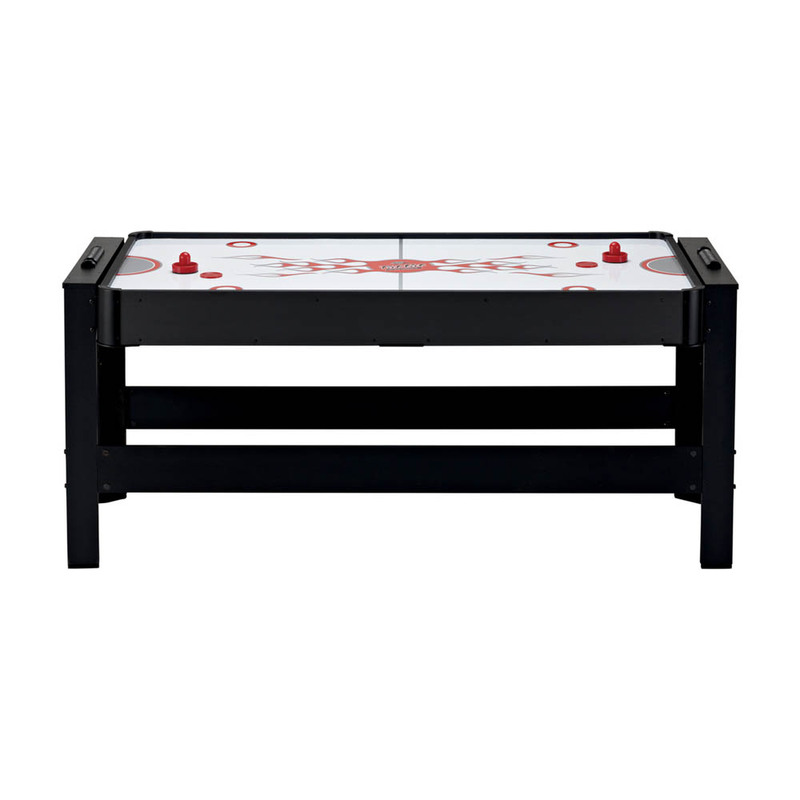 Convenient 6 foot size fits easily into tight game room spaces, allowing you maximum flexibility in your room’s layout. 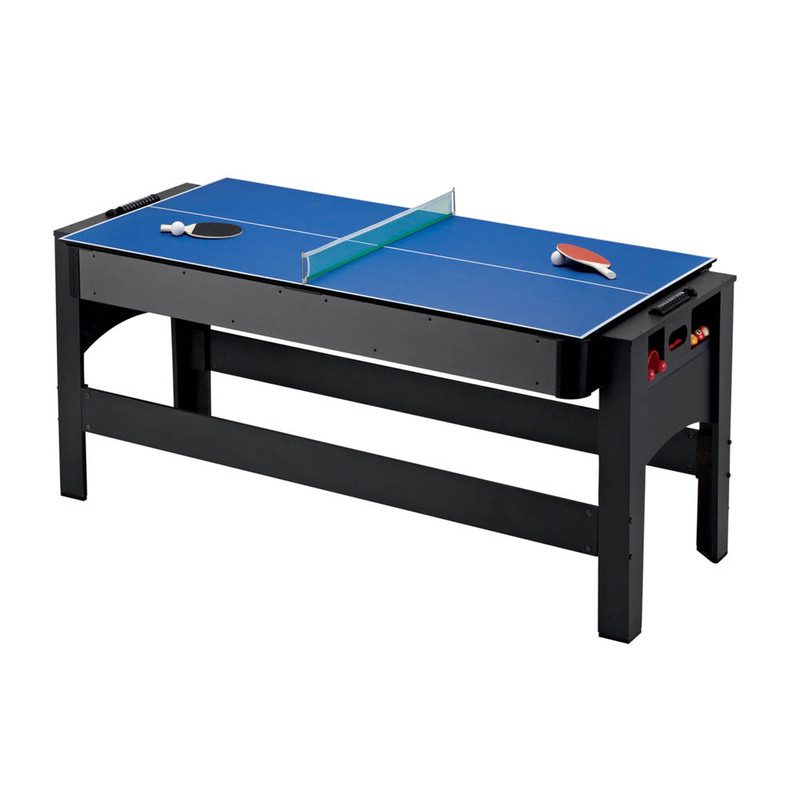 Includes all of the accessories needed to play the games you love such as pool cues and billiard balls, hockey pucks and pushers, and table tennis paddles and net.